Deborah Lynn Newton, age 66, of Arcadia, IN passed away Sunday, January 7, 2018 at Riverview Health. She was born June 15, 1951 at Indianapolis, IN to John Leslie and Ruth Evelyn (Eicher) Stack. Her parents, two brothers and a sister preceded her in death. She enjoyed being a homemaker and interacting with her family. Her family said she was a great cook and kept an immaculate house. She often commented, "a place for everything and everything in it's place". She enjoyed board games, playing poker, live TV, detective shows and just relaxing outdoors watching the birds and squirrels. 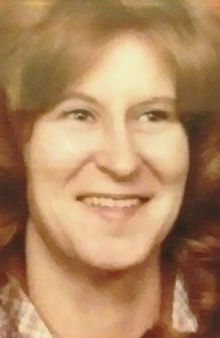 She married Terry Lee Newton on August 27, 1976. He survives her. Also surviving is a son: Jerry Foster of Cicero, IN and a daughter: Kelly Campbell of Arcadia, IN, step-son: Travis Bradford of Tipton, IN and step-daughter: Tracie Bradford, grandchildren: Christina Pierson, Terri Lynn Dearing and Joseph Fahnestock, plus five great-grandchildren. Private services will be held with burial to follow at Carey Cemetery. Arrangements are entrusted to Hartley Funeral Homes where you may send condolences at www.hartleyfuneralhomes.com.